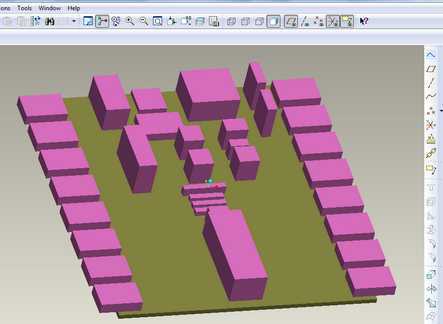 Our students use pro/ENGINEER to design their enclosures. They import their pcb design from XLD as a 3D dxf file to locate the position of PCB fixtures, switches and displays. 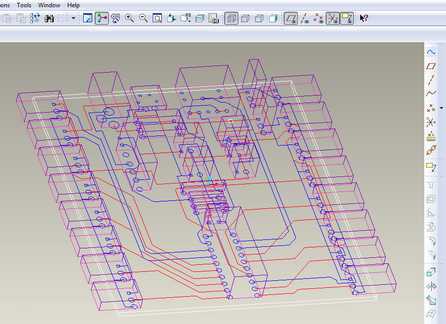 This is how the picXplorer controller pcb looks like imported into pro/E – the transfer is a straightforward operation. The obvious advantage of having a 3D model of the PCB in pro/E is that height clearance of enclosures is easily checked visually. (At the moment, XLD only outputs rectangular component footprints, but it sets the height precisely according the parameters input when designing the component library – which of course would normally be set up for students).